Calls For Change Follow NPR/'Frontline' Black Lung Investigation Federal regulations for silica dust in coal mines haven't changed in decades. But since an NPR/Frontline report into black lung, some are calling for a new response. Coal miner Nick Stiltner reviews an X-ray of his lungs showing black lung disease at the Stone Mountain Clinic in Grundy, Va. This story was reported in collaboration with the PBS investigative series Frontline. The documentary Coal's Deadly Dust will air Jan. 22 on PBS. The regulatory system that is supposed to protect coal miners from exposure to toxic silica dust failed to prevent dangerous exposures more than 21,000 times since 1986, according to data collected by the Mine Safety and Health Administration and analyzed by NPR/Frontline. And while the National Institute for Occupational Safety and Health counted 115 cases of advanced black lung nationwide through its monitoring program from 2010 to 2018, NPR and Frontline identified more than 2,300 cases by contacting health clinics across Appalachia. Federal regulations for silica dust in coal mines haven't changed in decades, even as mining has changed. But since the NPR/Frontline report, some are calling for a new response. Rep. Bobby Scott, D-Va., the chair of the U.S. House Committee on Education and Labor, says he will schedule congressional hearings on the epidemic of advanced black lung disease and the regulatory failures cited by the NPR/Frontline investigation. "Congress has no choice but to step in and direct MSHA and the mining industry to take timely action," Scott said in a statement. 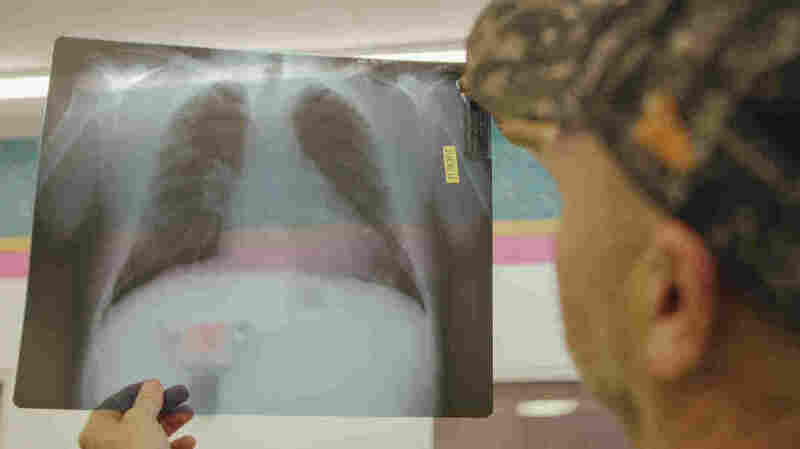 The Frontline documentary Coal's Deadly Dust, reported with NPR, documents an epidemic of advanced black lung disease across Appalachia and the repeated failure of federal regulators to prevent the outbreak. "This is a public health crisis of major magnitude," says Joseph Wolfe, an attorney in Norton, Va., who represents miners filing for government black lung benefits. "There are people literally working in the mines right now, hundreds of them ... that have complicated black lung that do not have a clue." Mandatory testing was long opposed by miner advocates because, they reasoned, no persons should be forced to undergo a medical procedure against their will. Miners also told NPR they feared losing their jobs if coal companies learned of positive signs of the disease. "We need to know what's happening to miners during their working career," says Bruce Watzman, who represented the National Mining Association for more than three decades. Disease "may be occurring yet we're ignorant to that. How in this day and age can any of us be satisfied with a regulatory structure that operates like that?" Watzman asks. Wolfe believes the federal agencies that are supposed to protect and help coal miners aren't doing enough quickly enough. He advocates the declaration of a public health emergency and mobilization of teams of X-ray technicians to swarm coal mines with portable lung X-ray vans. "The house is on fire and nobody's putting it out," Wolfe says. "I mean nobody is even telling people there's a fire." "If you had 400 cases of E. coli ... they would flood the area with their technicians and doctors and nurses checking people's health," Wolfe adds. NIOSH doesn't have the authority to declare a public health emergency, says David Weissman, who directs the agency division that studies black lung disease and tests miners. Only the secretary of health and human services can issue that declaration. Weissman notes that miners with disease can get care at federally funded black lung clinics, through Medicare or with the assistance of state or federal black lung benefits programs. "Since NIOSH is not a health care provider for coal miners," Weissman adds, "we cannot comment on potential gaps in health care" that might be addressed by an infusion of funds from a public health emergency declaration. Samples from a different device must be sent to an MSHA lab for silica testing, and it can take up to three weeks to get results. Excessive exposures may continue for dozens of shifts in the meantime. So NIOSH has developed a new silica monitoring system that can provide results at the end of a miner's shift. "In a matter of a couple of minutes we have a result instead of waiting days or weeks," says Emanuele Cauda, an engineer working in the mine safety division at NIOSH. The system was made available to coal mines late in 2018. It uses existing off-the-shelf devices, but they're expensive — ranging from $10,000 to $20,000 each — and implementing the system is voluntary. The holy grail of silica sampling is a monitor that reads exposure in real time. NIOSH is working on that but says a working model is years away. The Frontline film Coal's Deadly Dust, produced in partnership with NPR, airs Tuesday, Jan. 22, at 10 p.m. ET/9 p.m. CT on PBS stations nationwide and will be available at https://www.pbs.org/wgbh/frontline/film/coals-deadly-dust/.